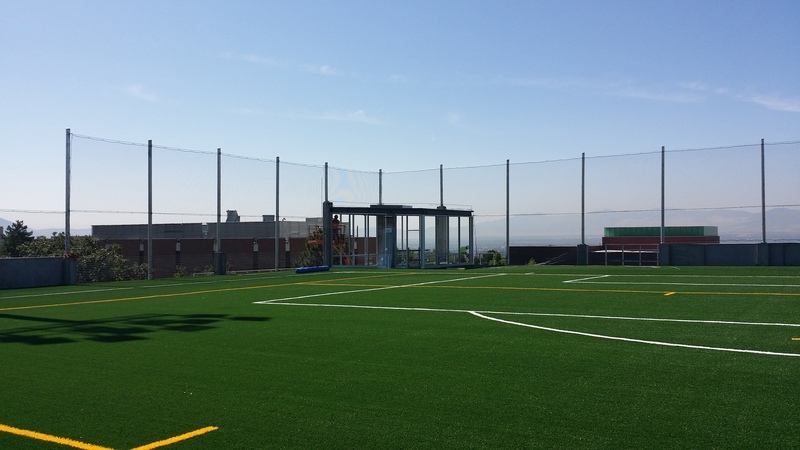 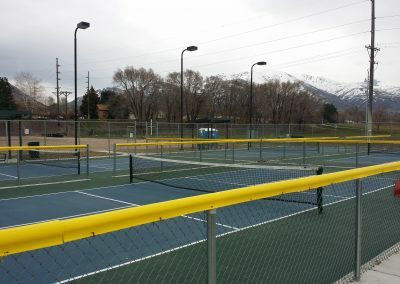 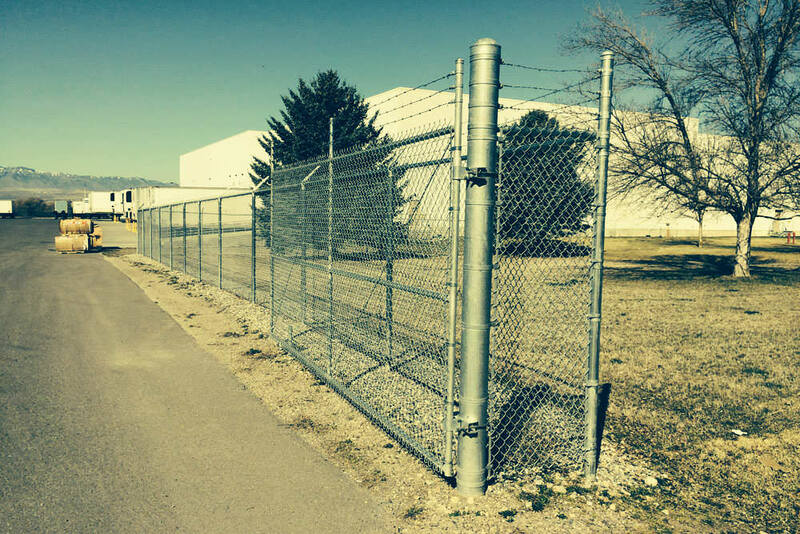 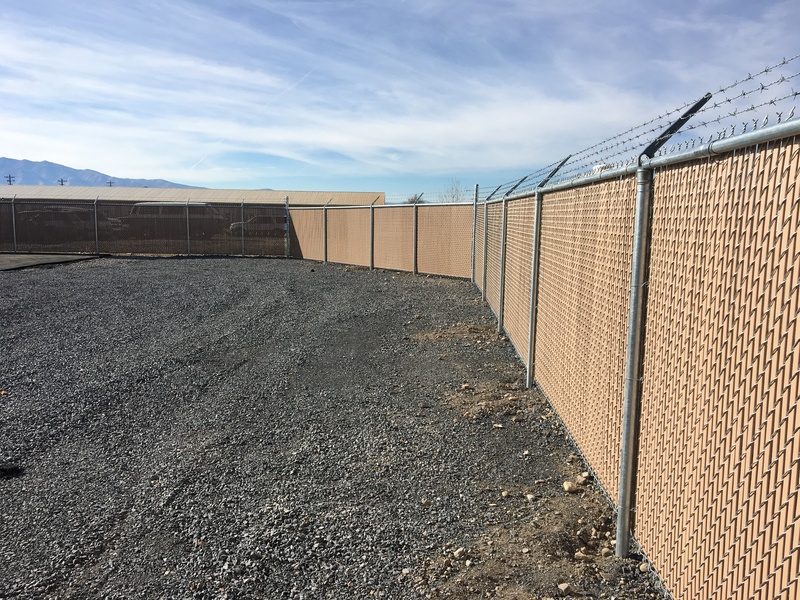 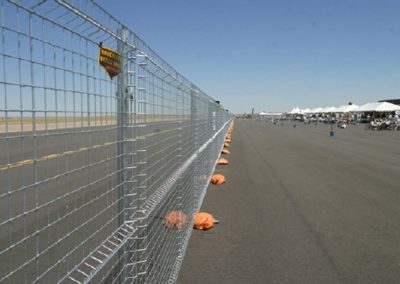 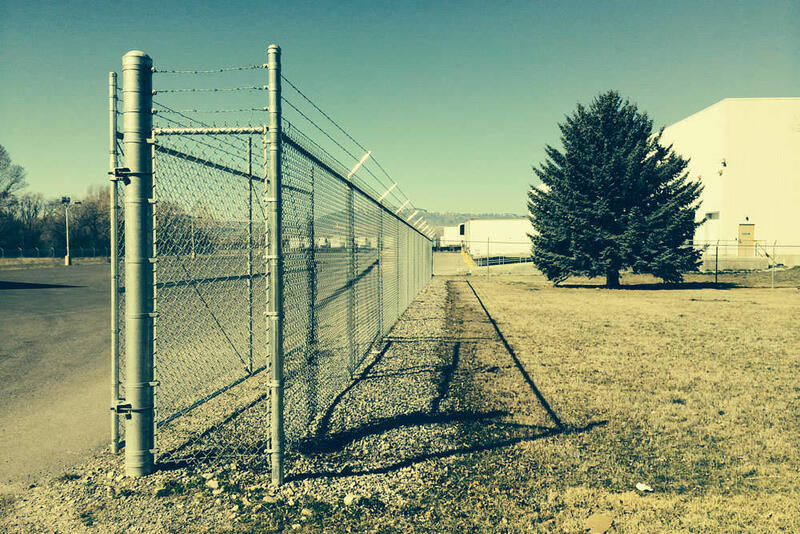 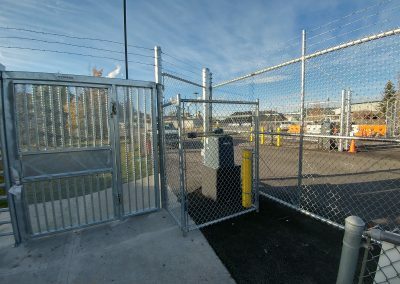 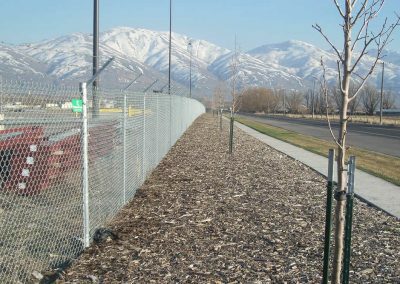 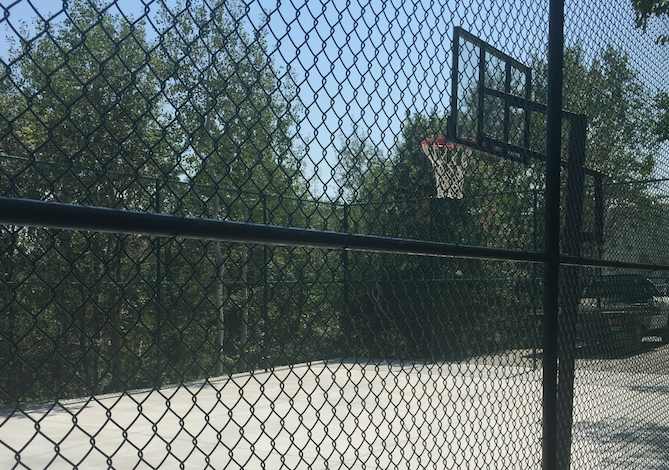 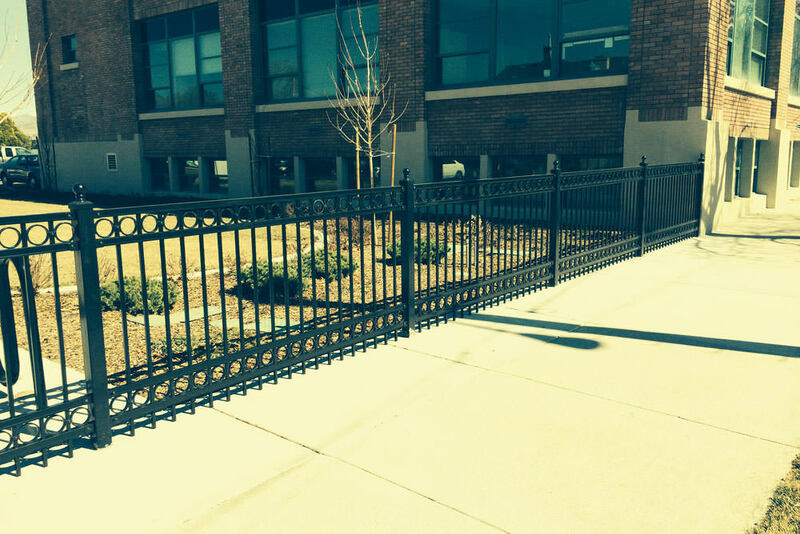 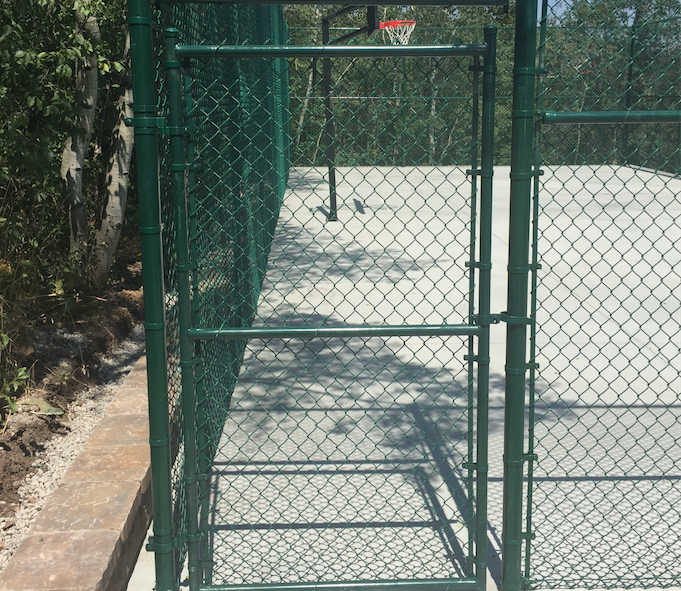 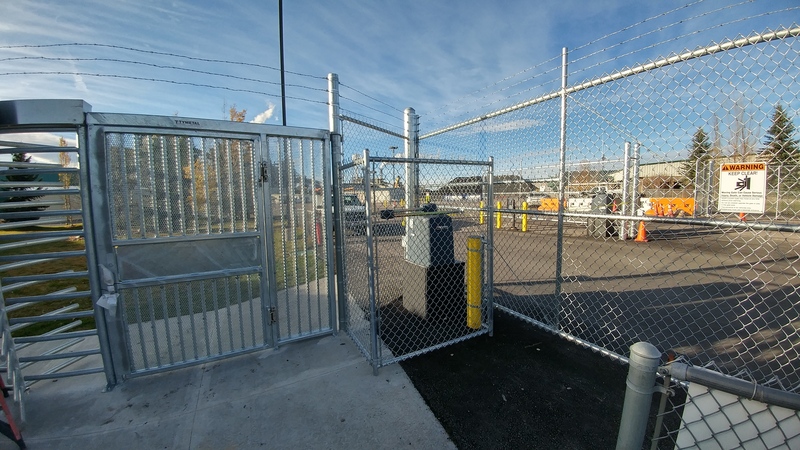 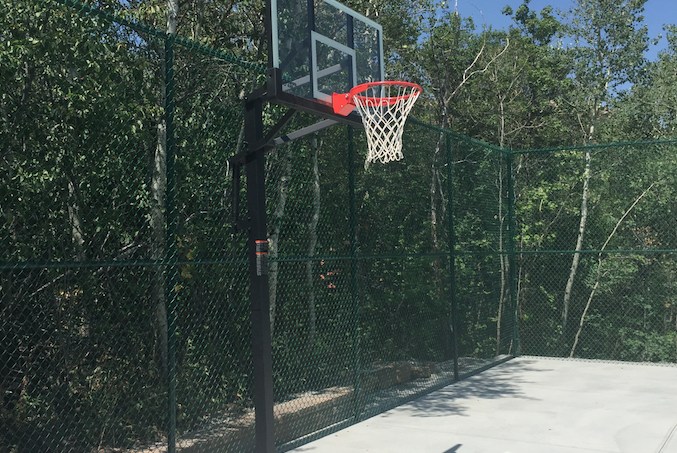 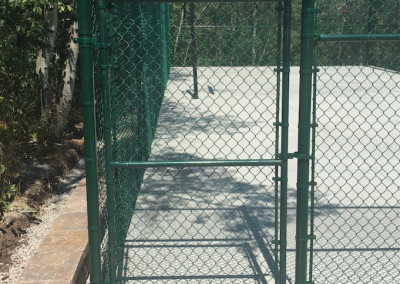 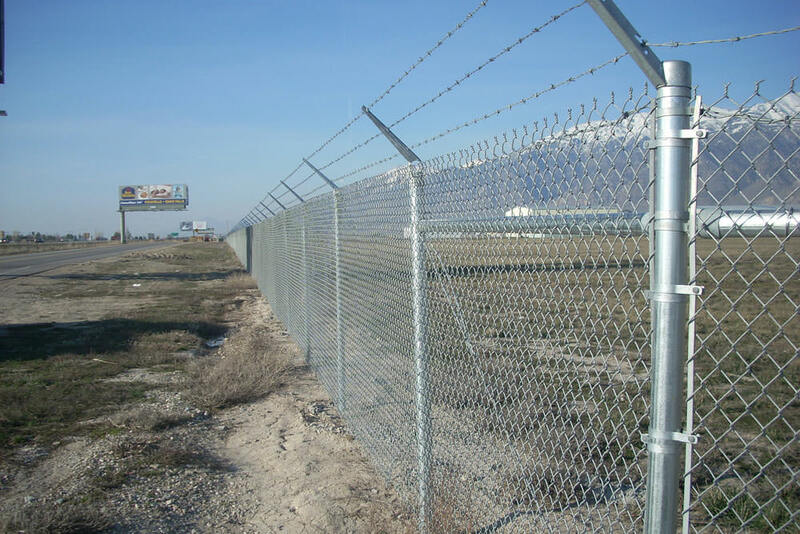 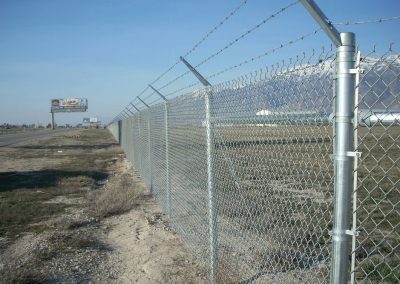 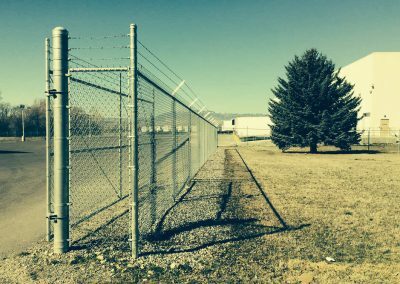 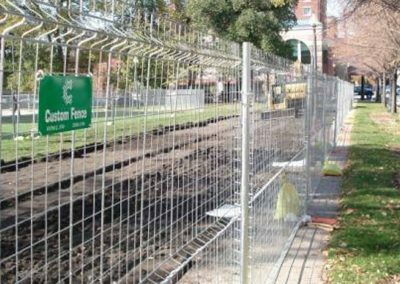 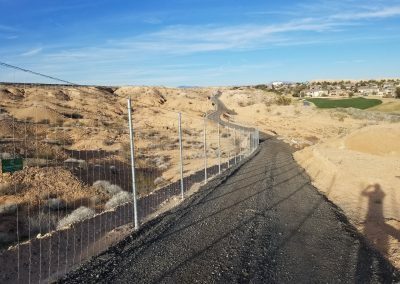 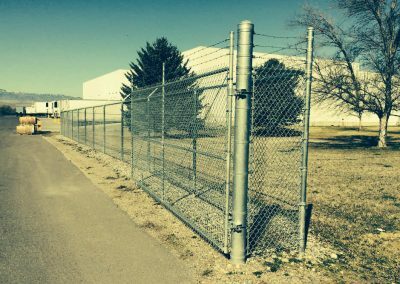 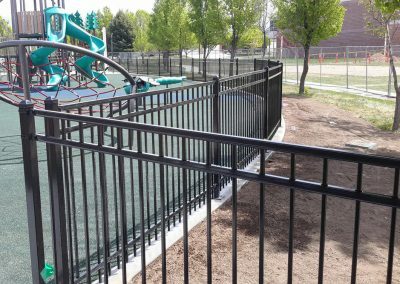 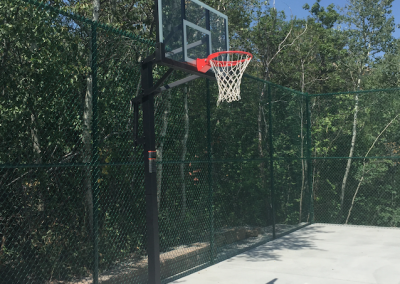 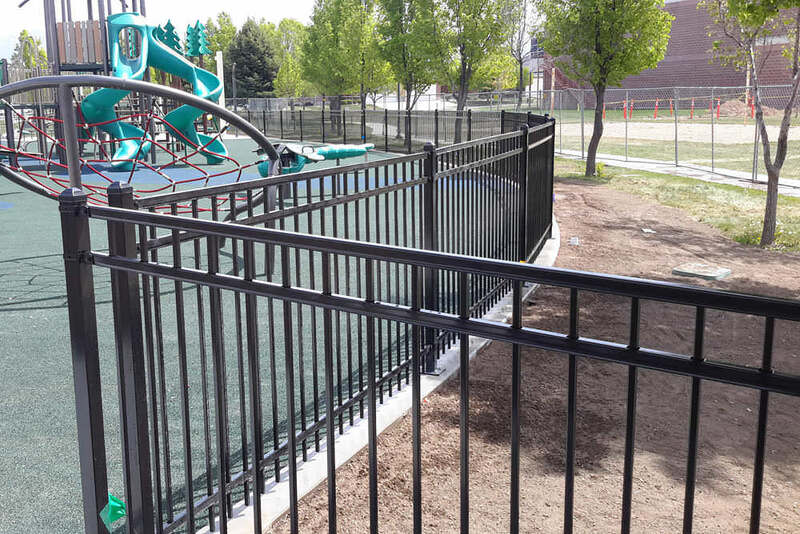 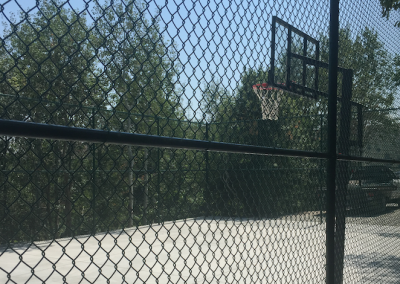 Known for its strength and durability, chainlink is perhaps the most economical type of fencing available. 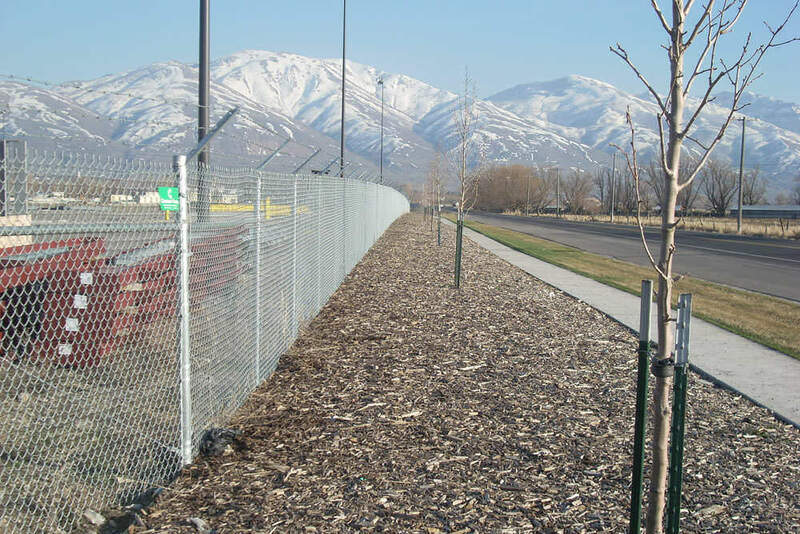 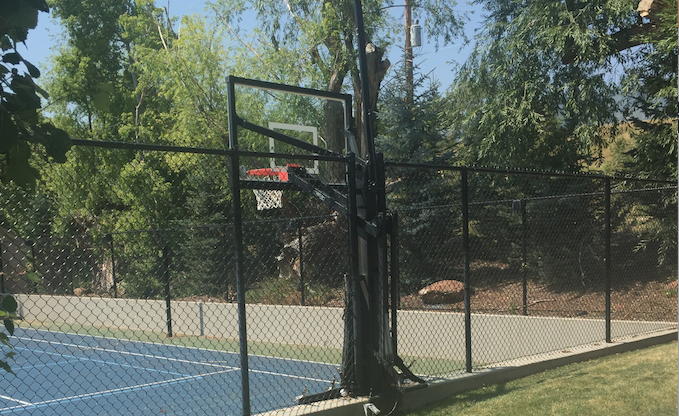 We let you choose from a wide range of weights (or gauges) and coatings, so it’s easy to enhance your landscaping with a fence that blends naturally with trees, shrubs, and bushes. 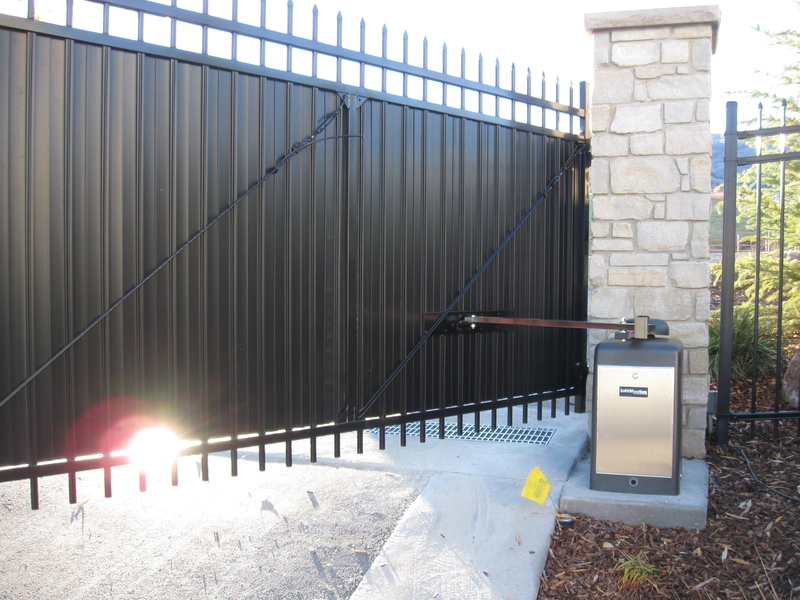 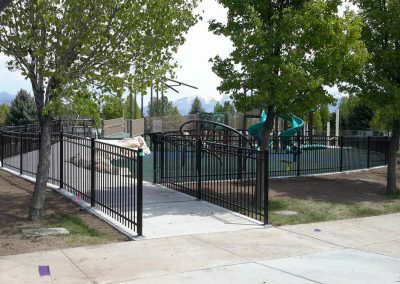 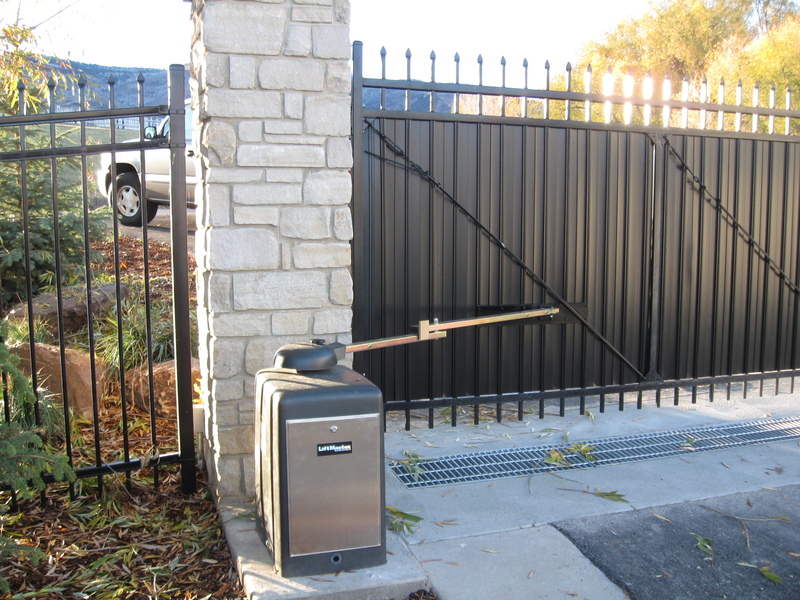 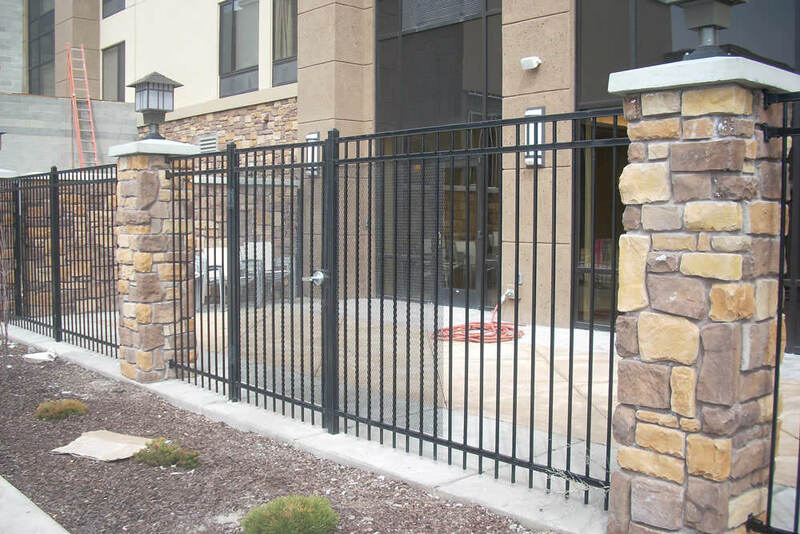 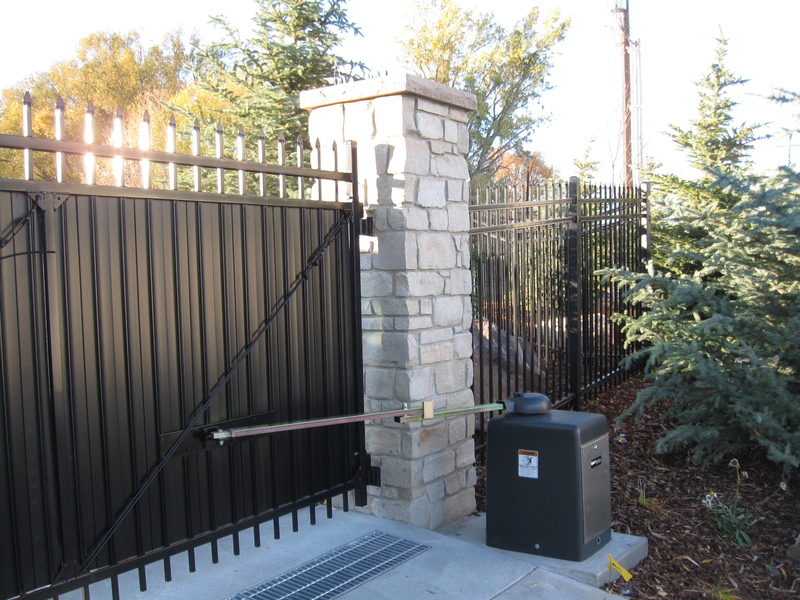 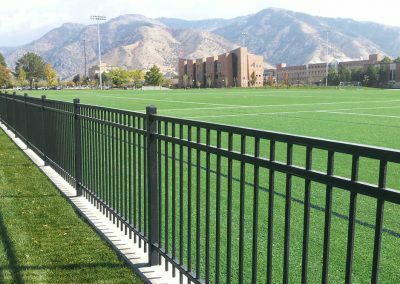 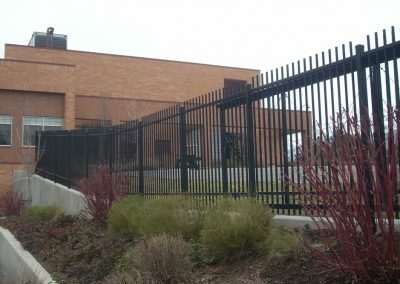 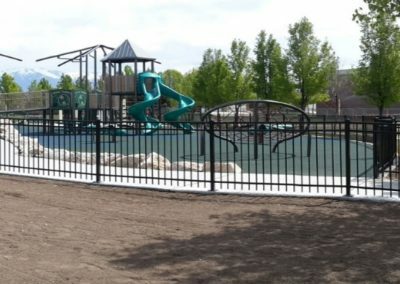 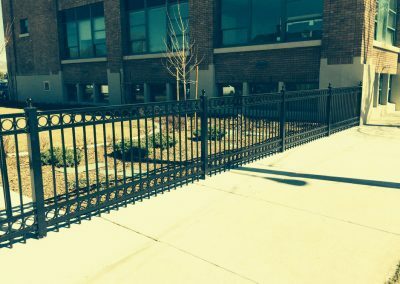 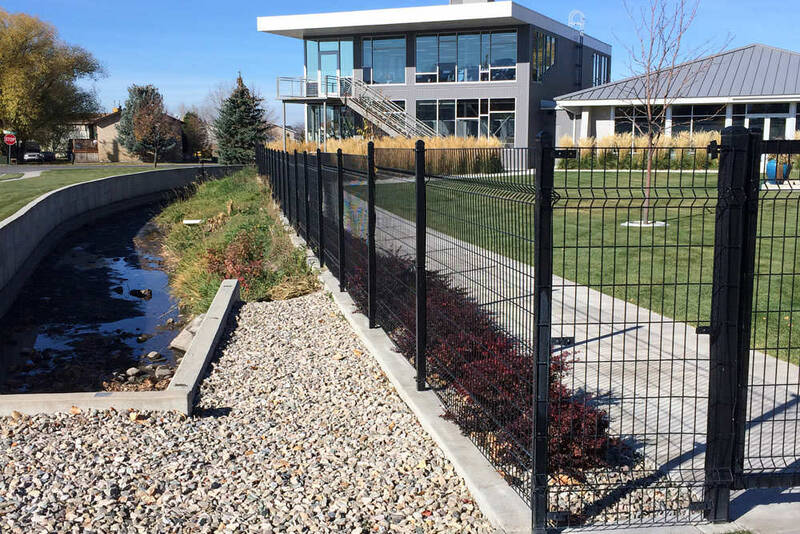 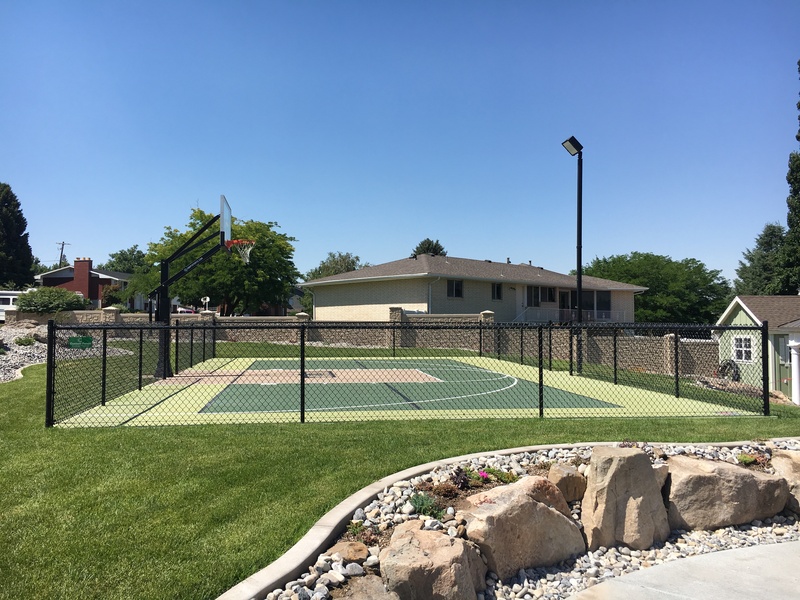 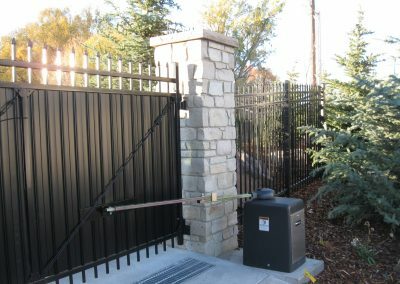 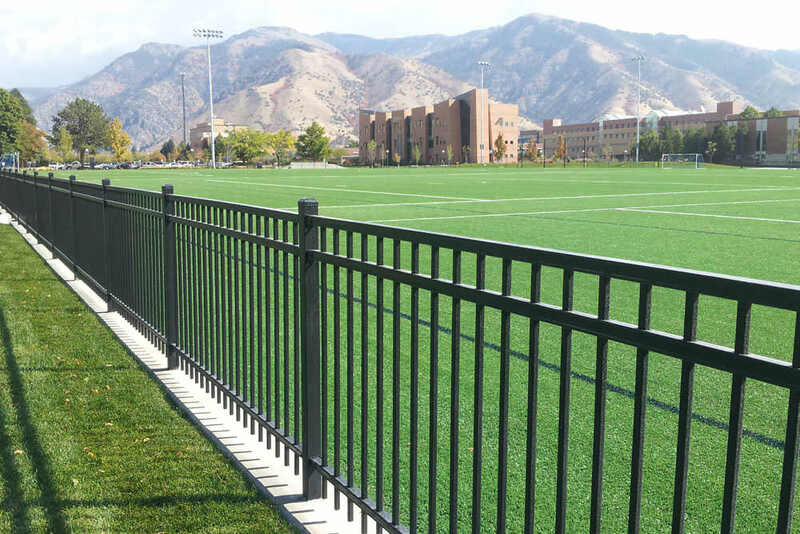 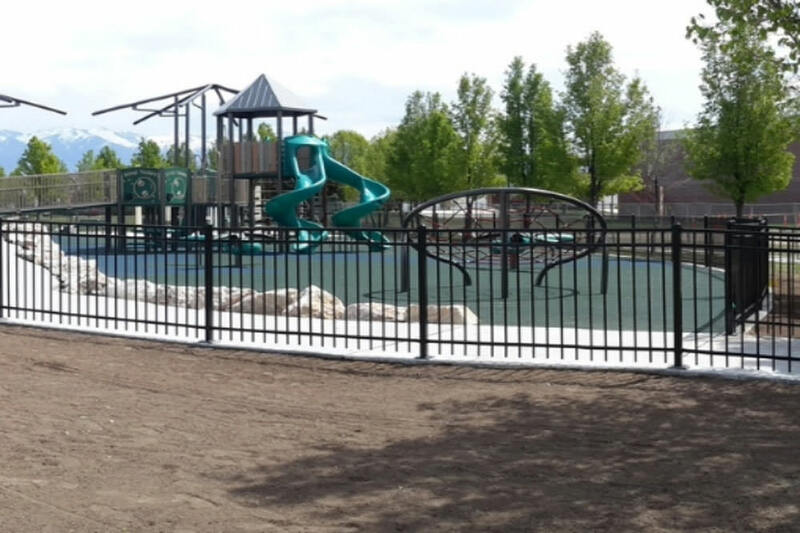 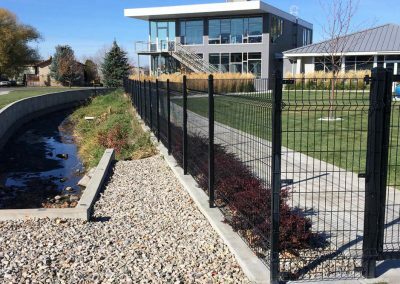 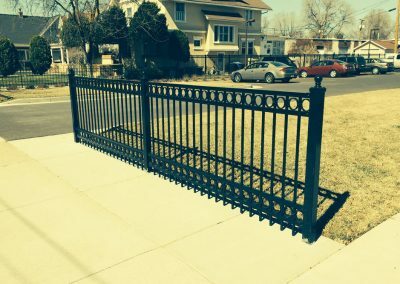 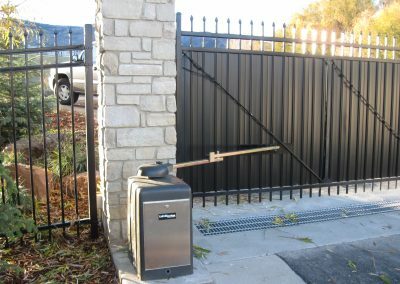 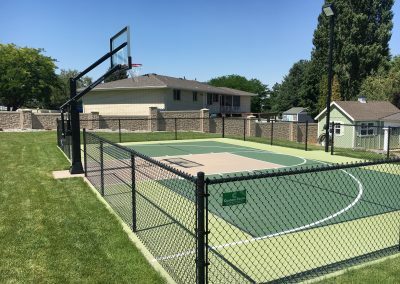 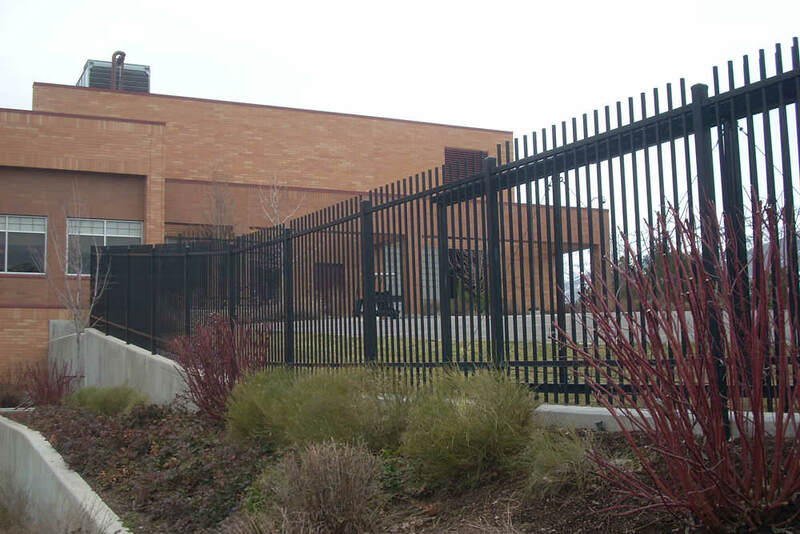 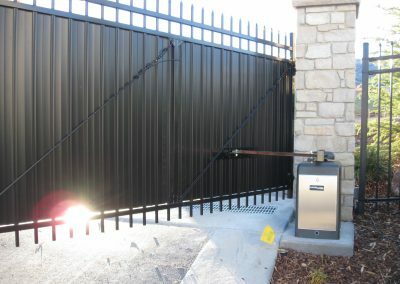 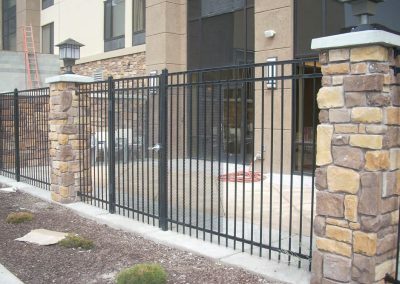 Monumental Iron Works®, Classic Premier™ Iron Series, Montage®, Echelon™, Colonial Aluminum®, Remington Residential Fence™, Jerith Aluminum, and Fortress Versai constitute the finest selection of Ornamental Fence Systems. 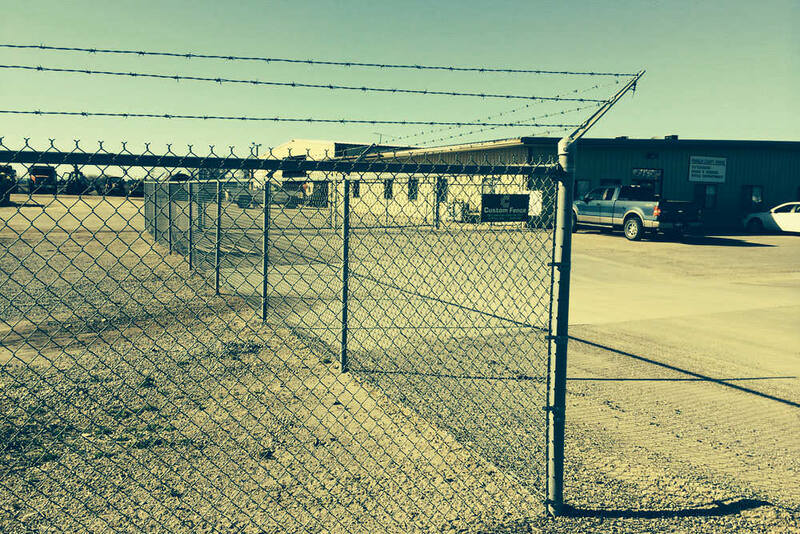 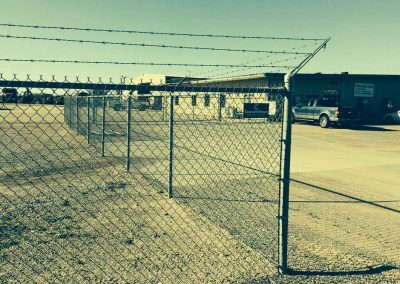 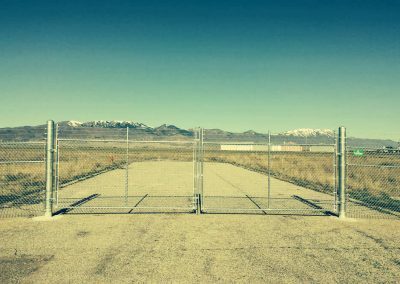 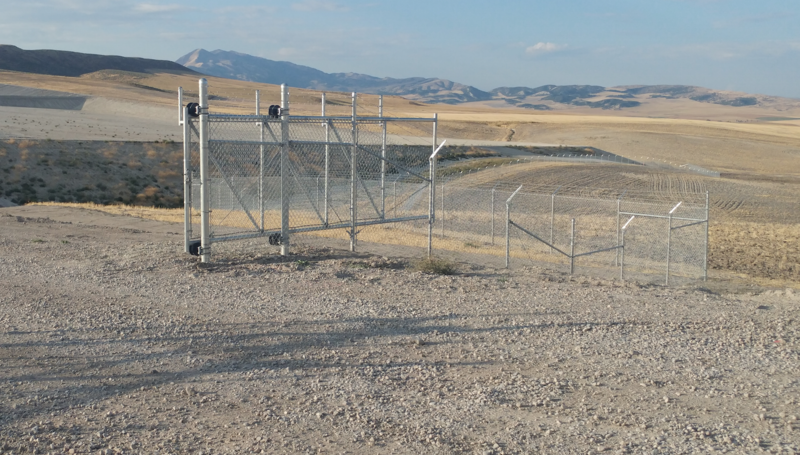 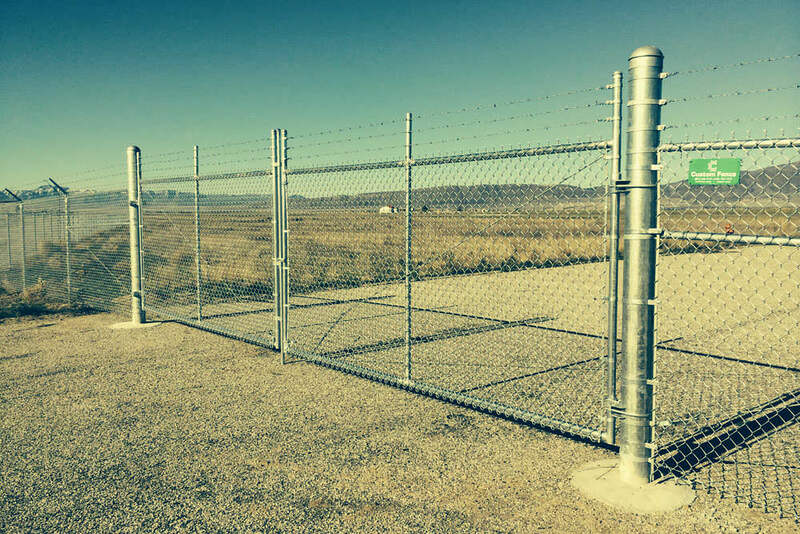 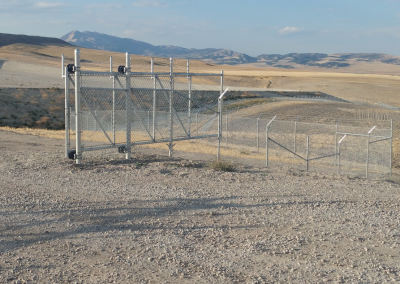 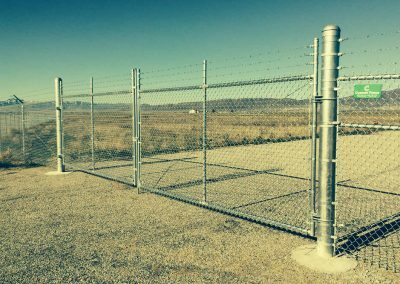 Barbed-wire fences remain the standard fencing technology for enclosing cattle in most regions of the US. 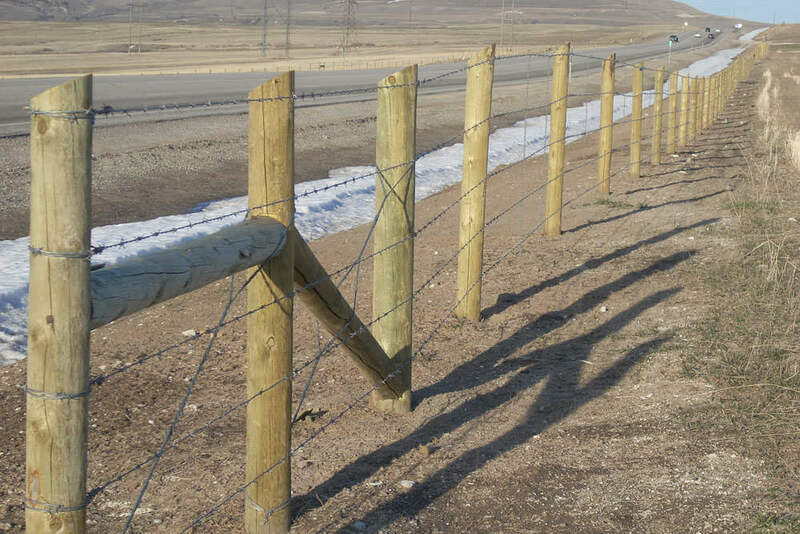 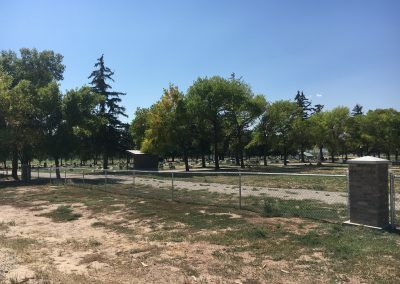 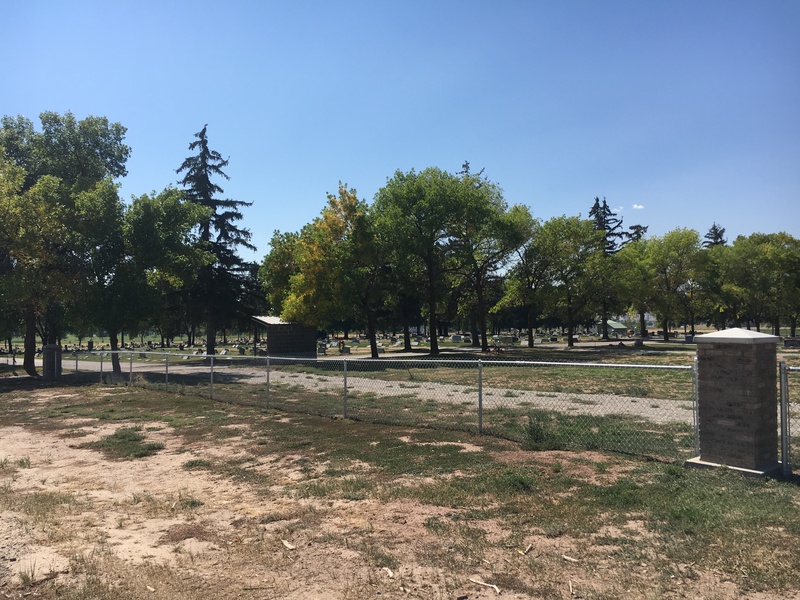 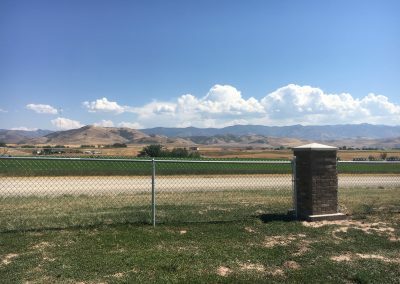 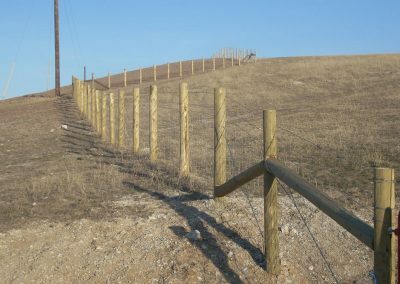 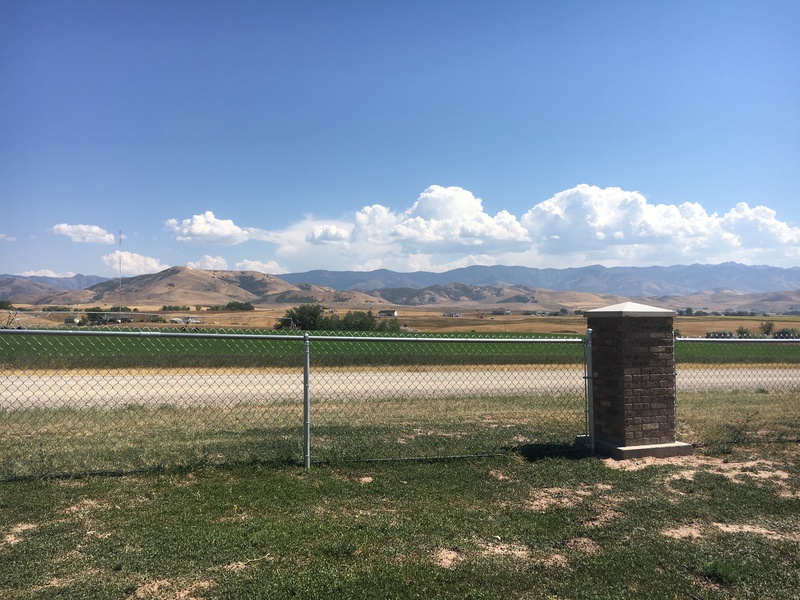 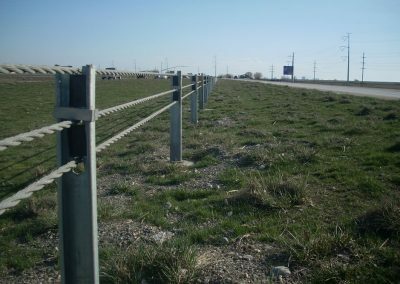 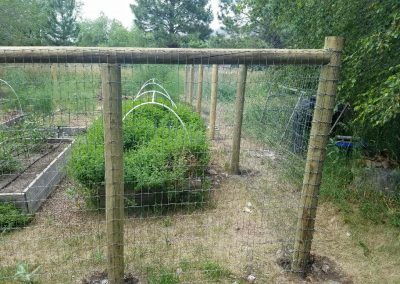 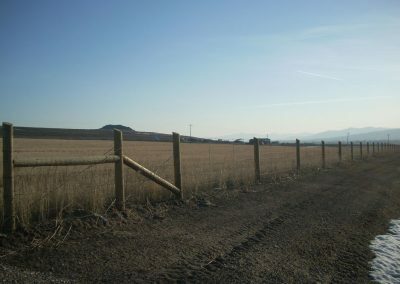 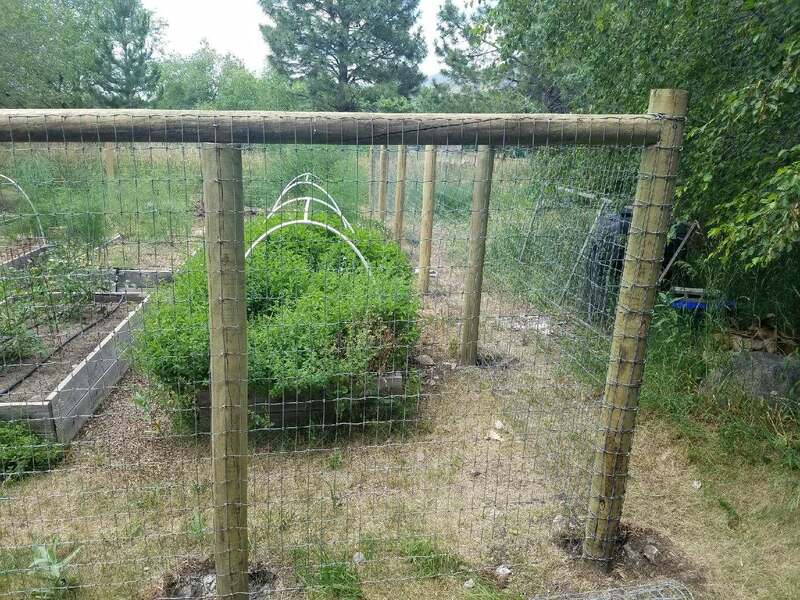 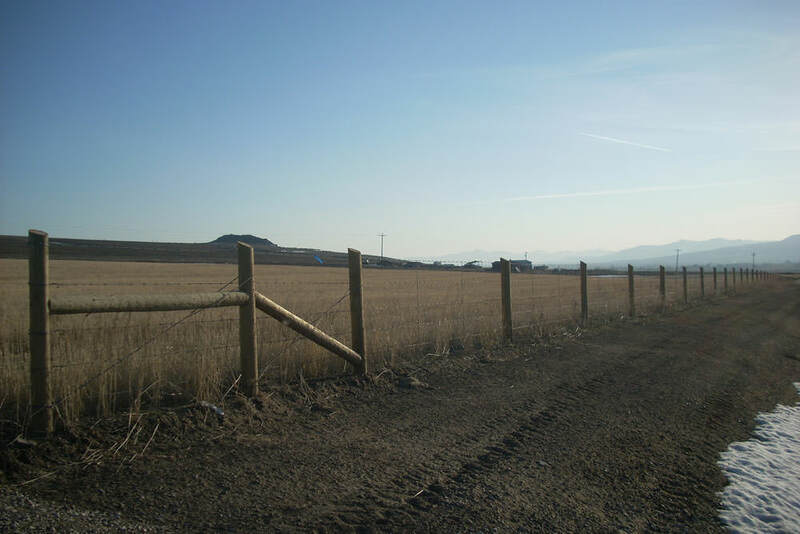 The wire is aligned under tension between heavy, braced, fence posts and then held at the correct height by being attached to wooden posts or t-posts. 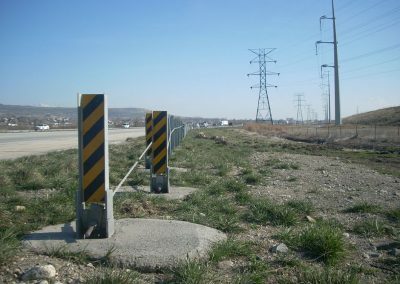 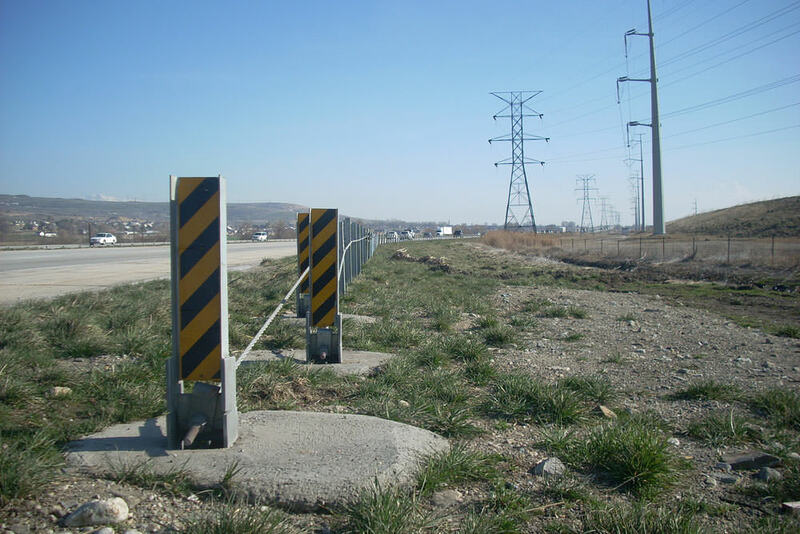 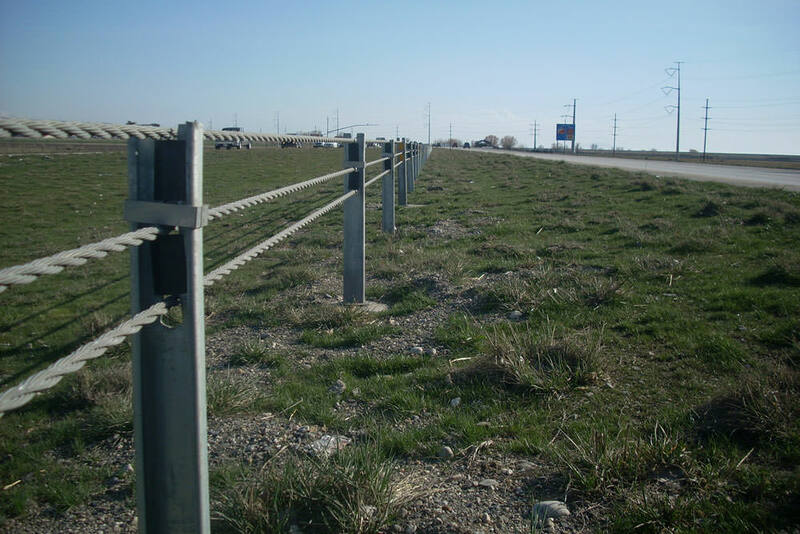 Cable Barrier is a revolutionary way of barricading interstate highways. 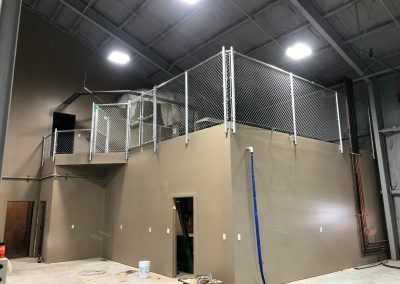 The cable is tight, and the posts are thin sheet metal. 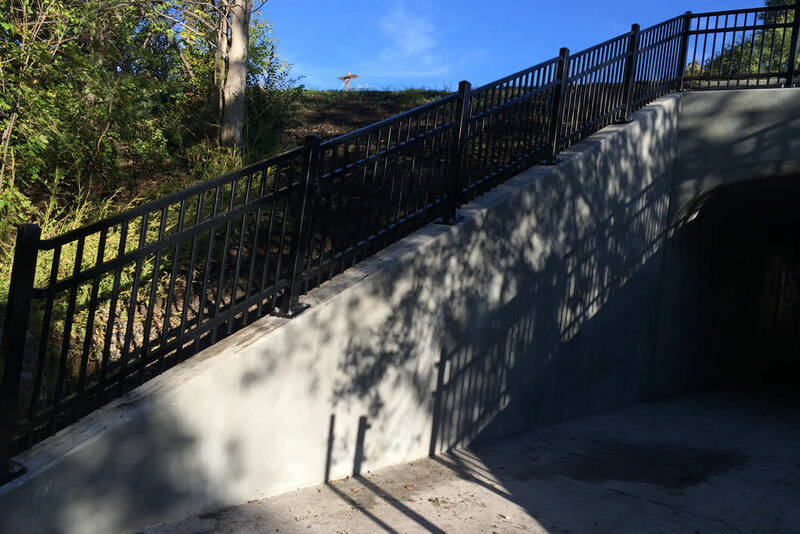 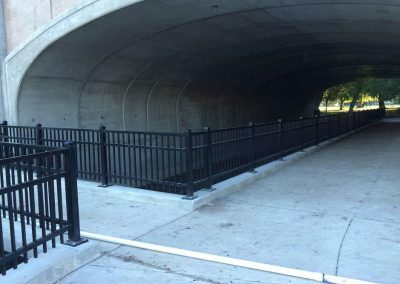 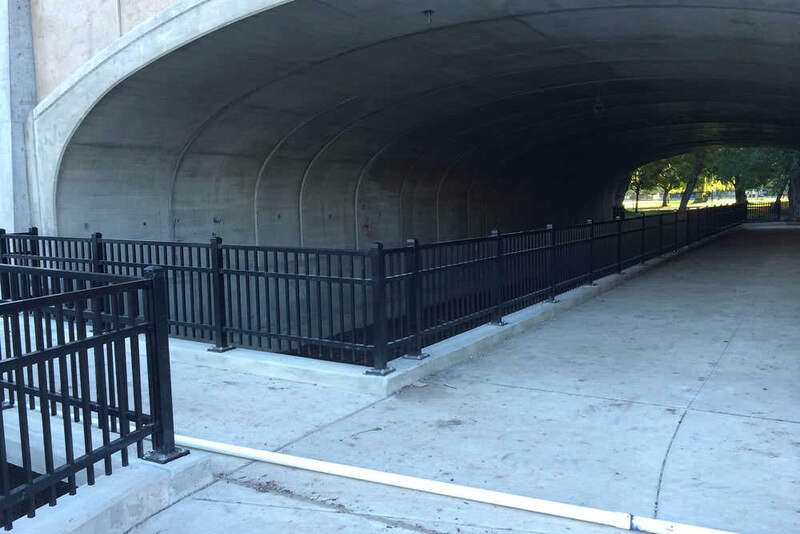 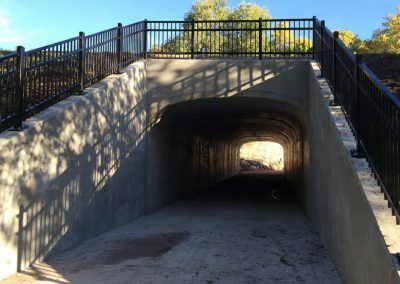 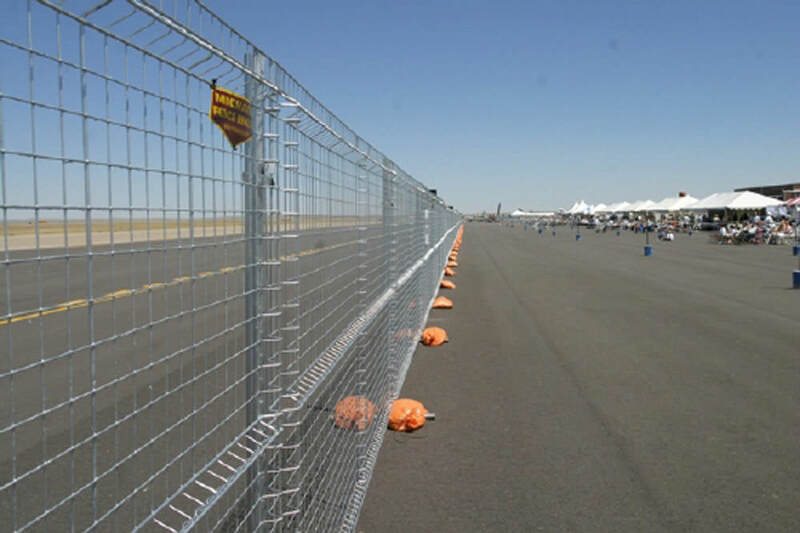 This allows minimal damage to persons and vehicles because of the give the barrier has. 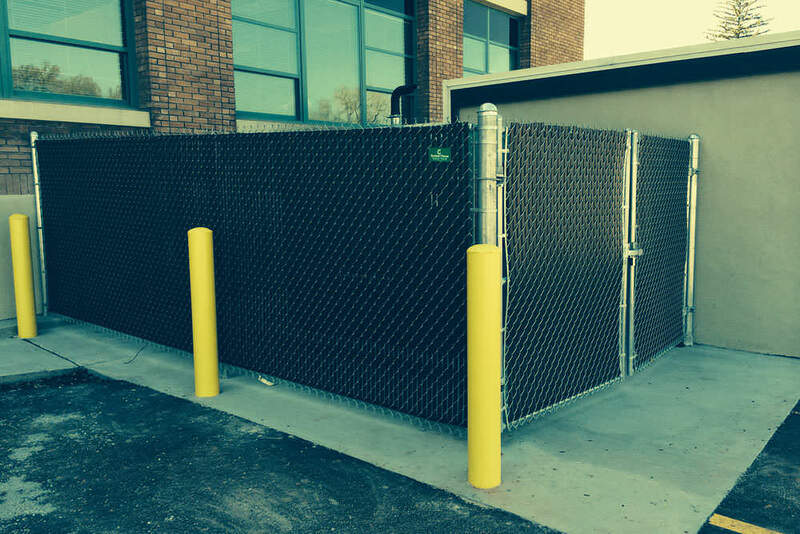 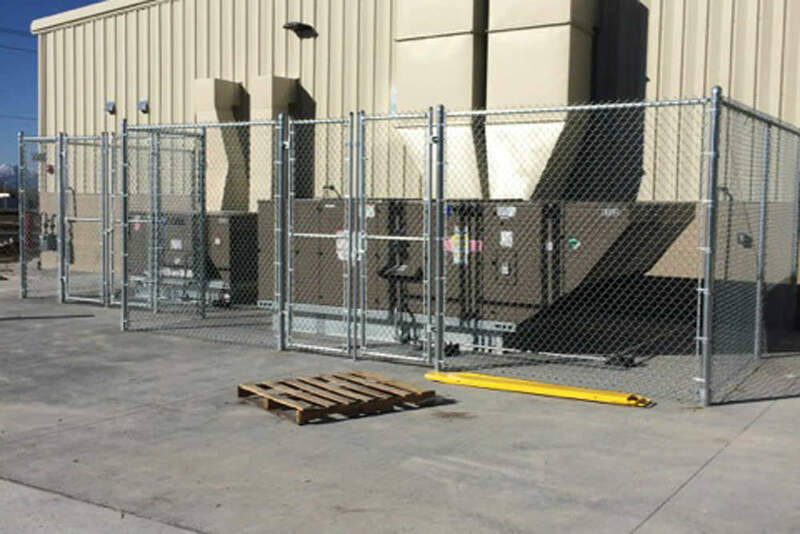 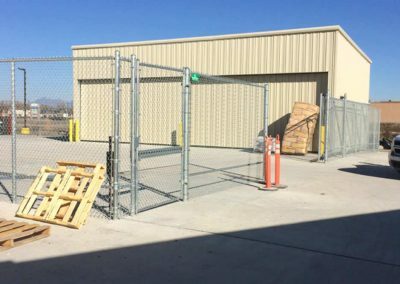 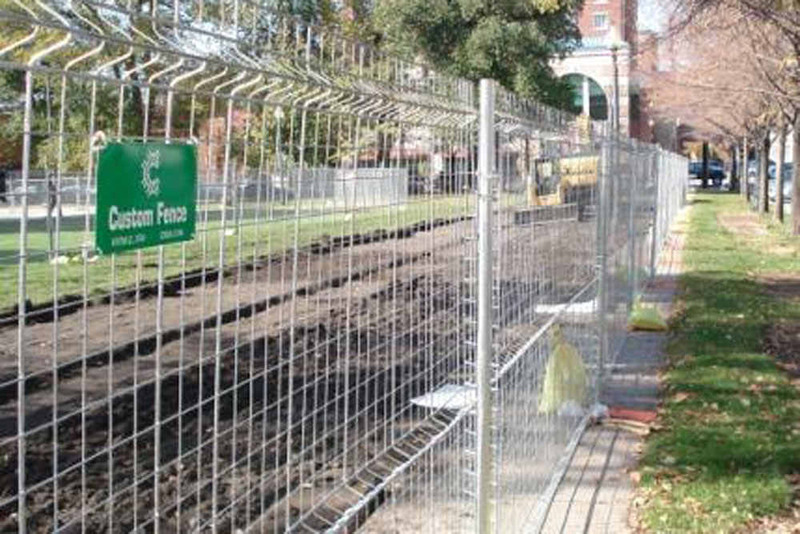 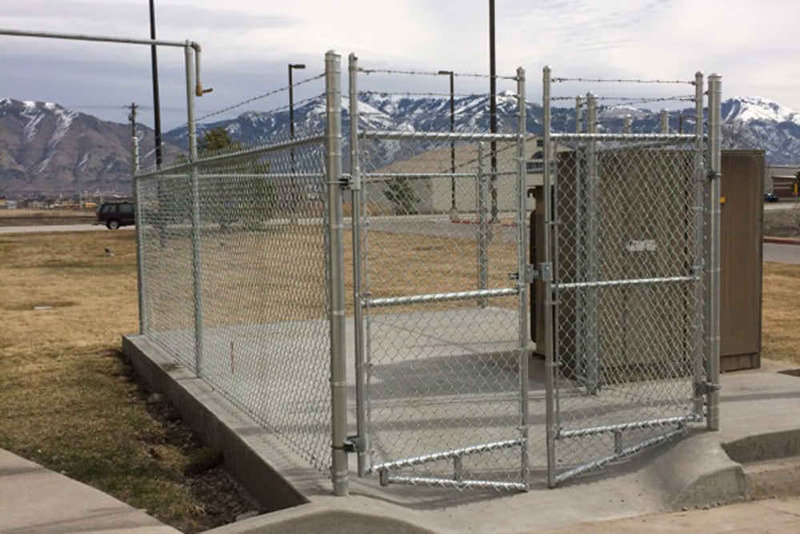 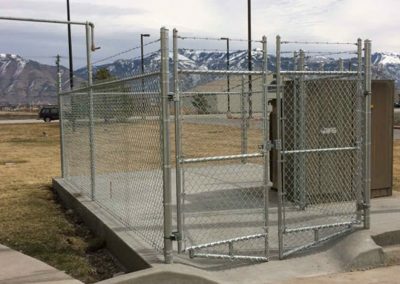 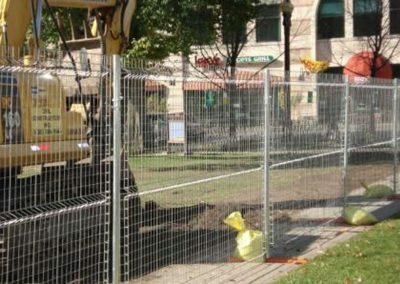 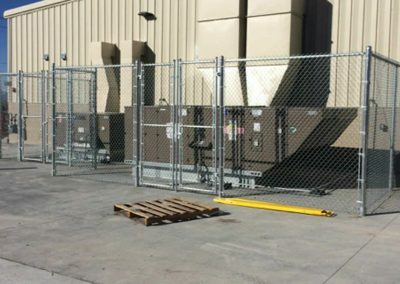 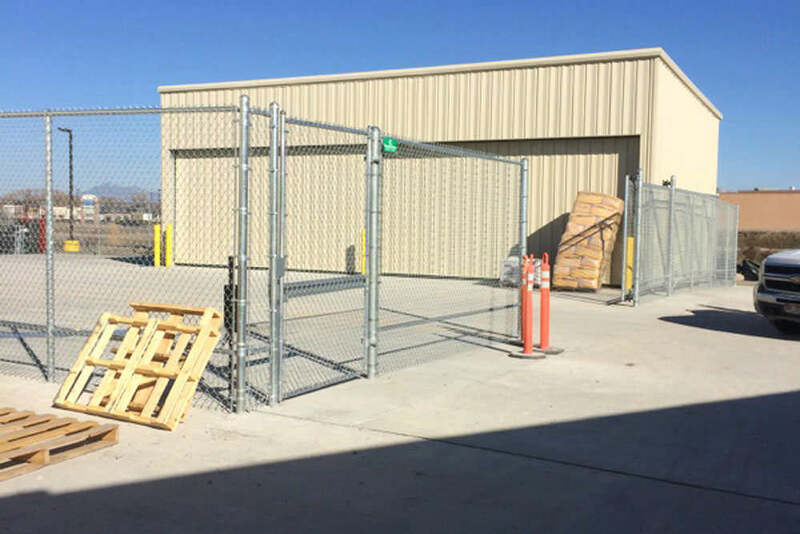 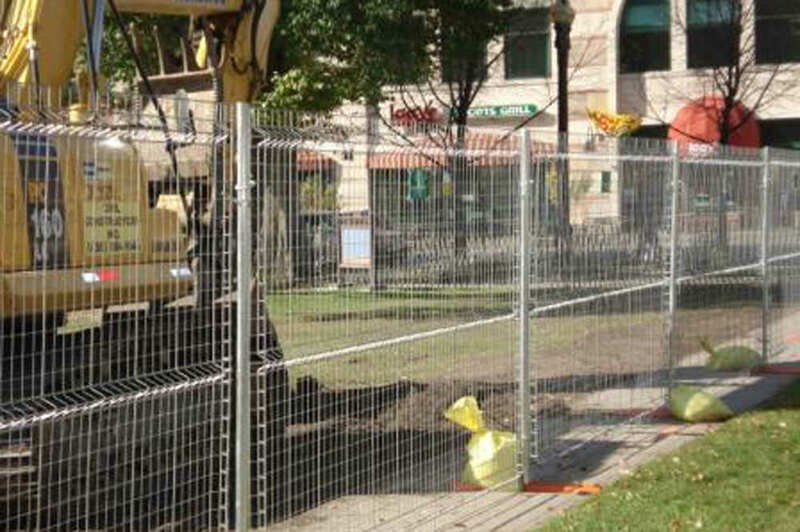 Temporary fences are freestanding units that are easy and safe to assemble. 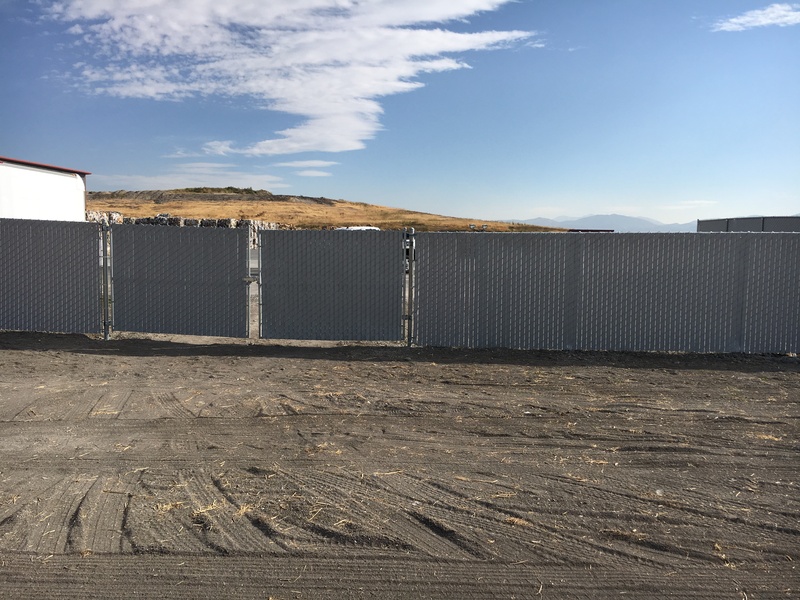 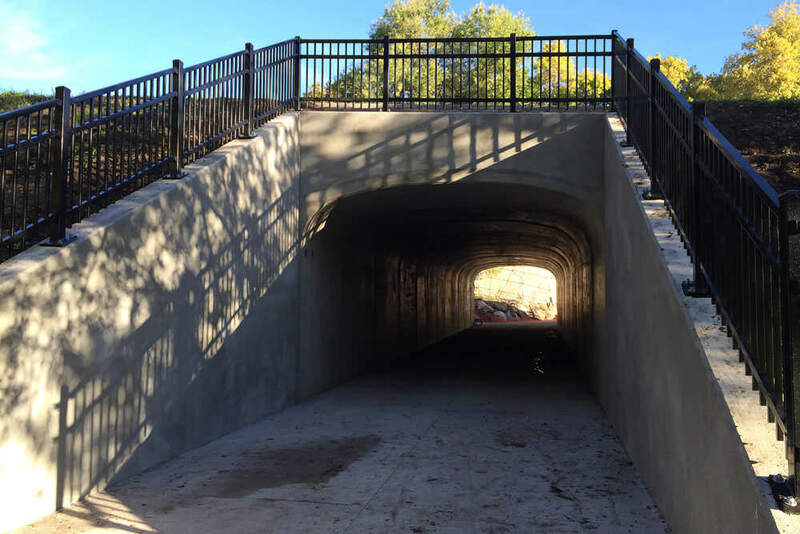 They are ideal for events, crowd control barriers, construction sites, domestic housing sites, pool construction, sporting events, special events, concerts, and a wide range of industrial and engineering applications. 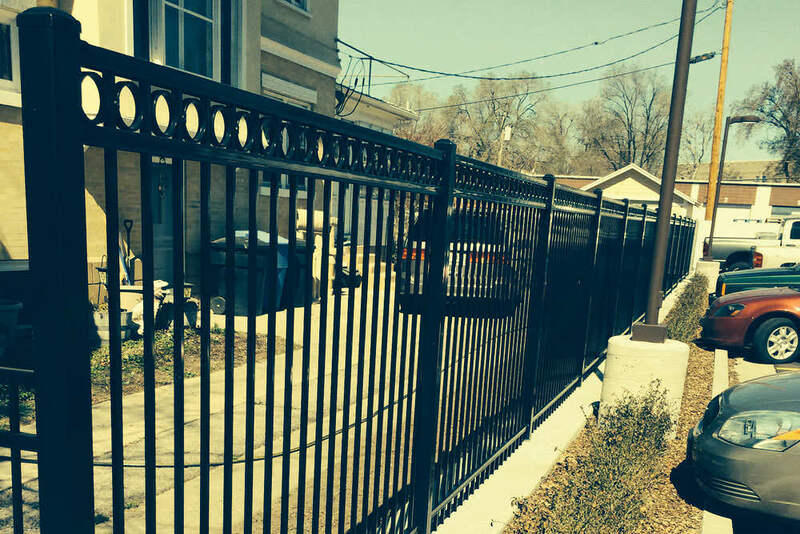 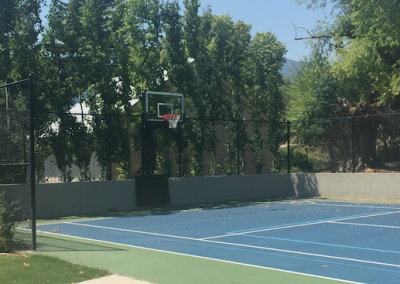 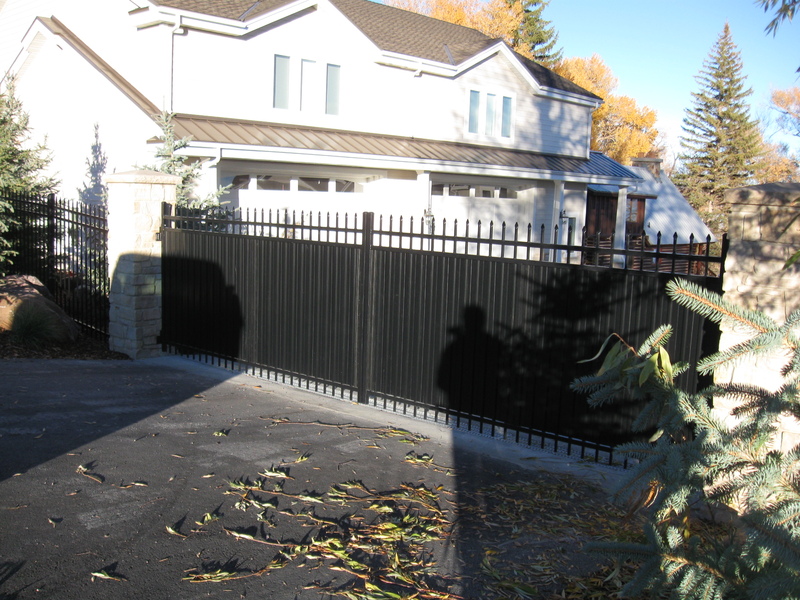 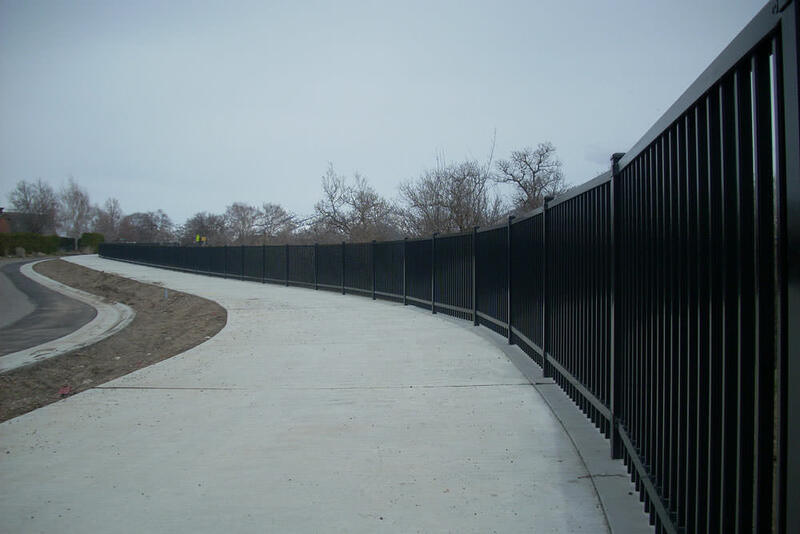 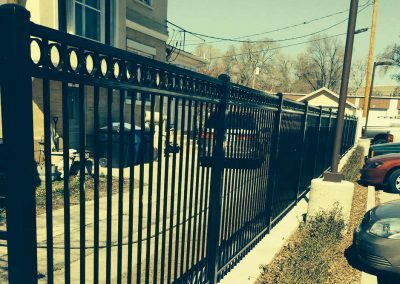 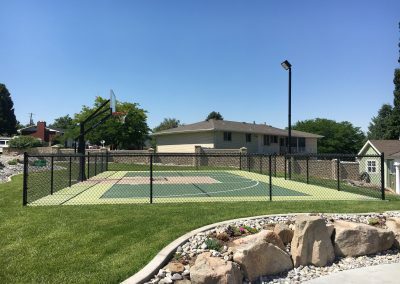 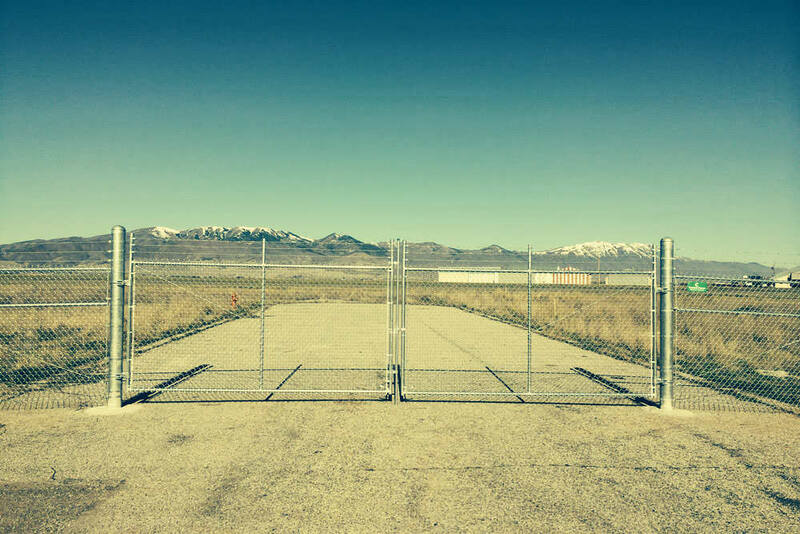 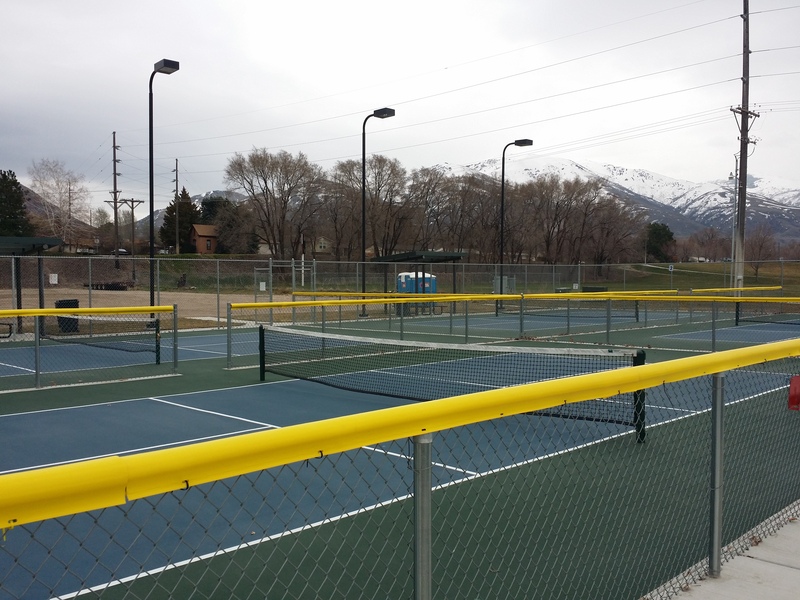 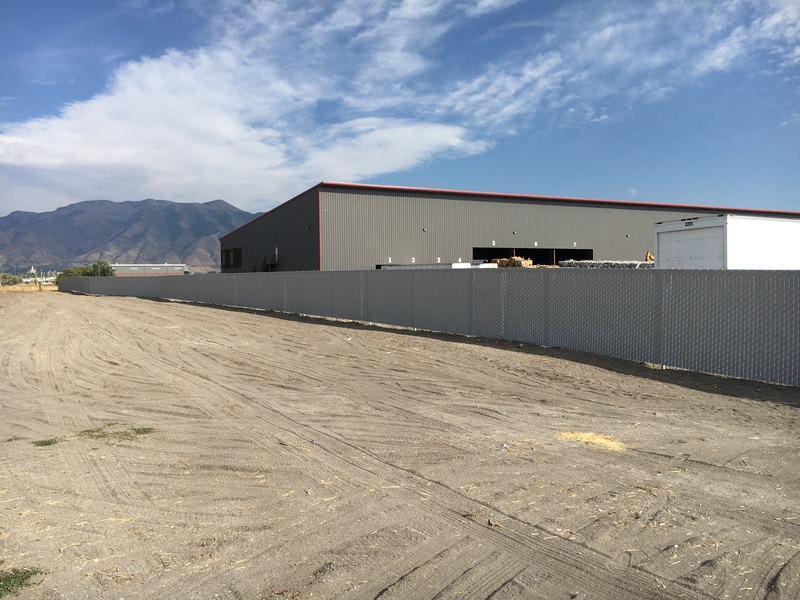 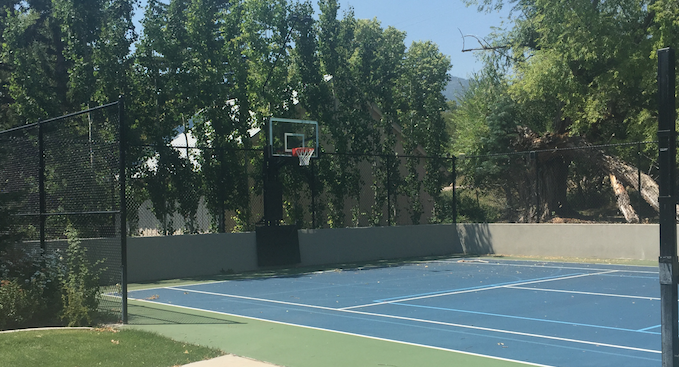 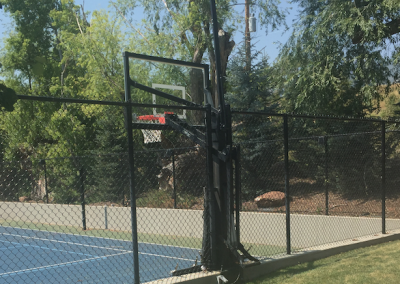 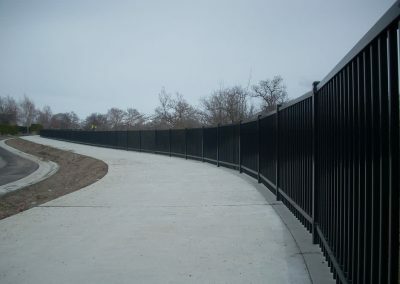 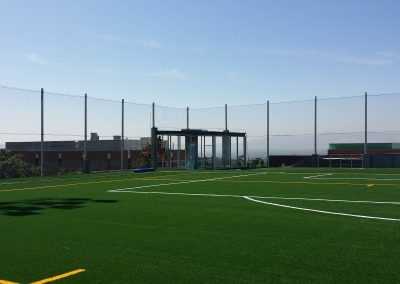 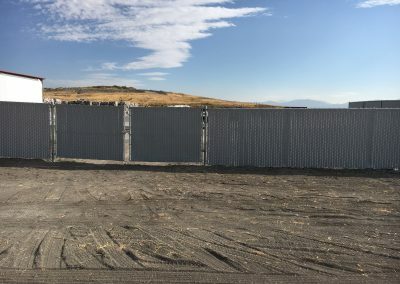 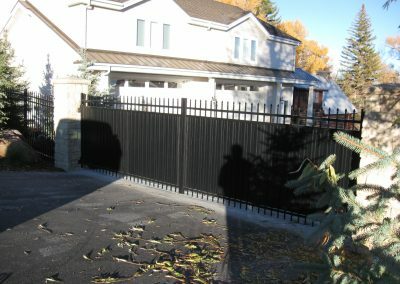 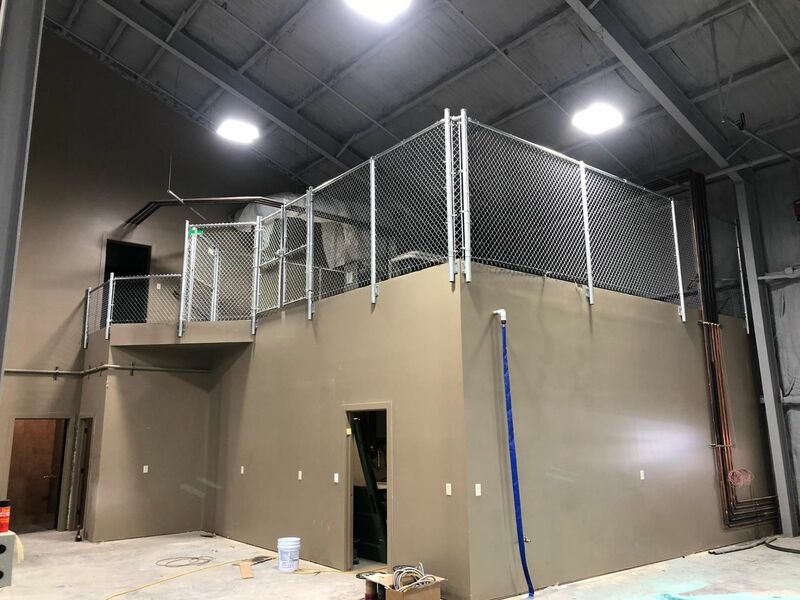 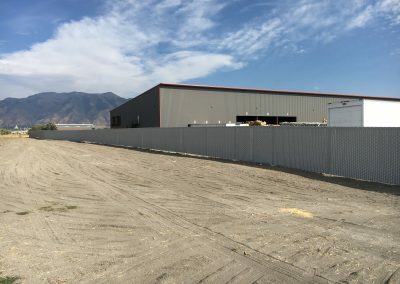 Custom Fence temporary fencing is the best in the business.